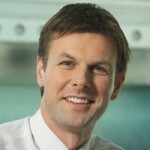 “My iPhone 5 was stolen, so does the data in the device. Luckily there is the backup in iTunes and The Contacts in the iTunes backup is significant for me and how can I transfer these Contacts from iTunes to iPhone? iTunes backup is safe as it is the encrypted file on your PC or Mac, so many iOS users choose iTunes to backup their data. If you have some data in iTunes, do you have the demand like above users that want to transfer some contacts in iTunes to your iPhone? In this article, you will find the easy ways to transfer contacts from iTunes to iPhone. Step 2: Connect your iPhone to PC with the USB cable and iTunes will be started automatically. Your device will be detected and recognized by iTunes by default. Step 4: Pick on Contacts you want to recover from the list of files that shows up. Lastly, click on Restore. Transfer Contacts with iTunes restore would transfer all of the data in the backup and would erase the new existed data on your device. If you want to selectively transfer iTunes contacts to your iPhone, you could use some third-party software to help you. iRefone is such the best tool you may need. 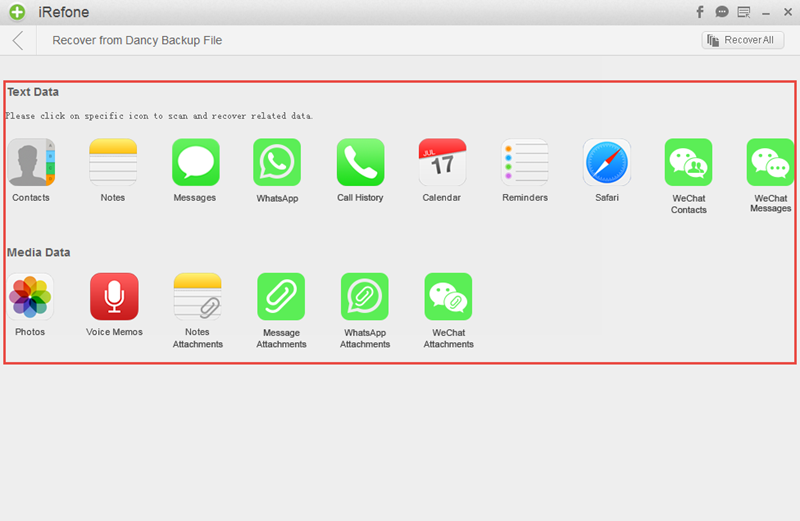 This software not only can help you transfer and extract data from iTunes and iCloud backup, but also helps you recover deleted or lost data like messages, contacts, notes, photos, whatsapp, wechat and more. Download the software to start the process to transfer iTunes contacts to iPhone. Step 1: Run iRefone and connect your new iPhone with computer. 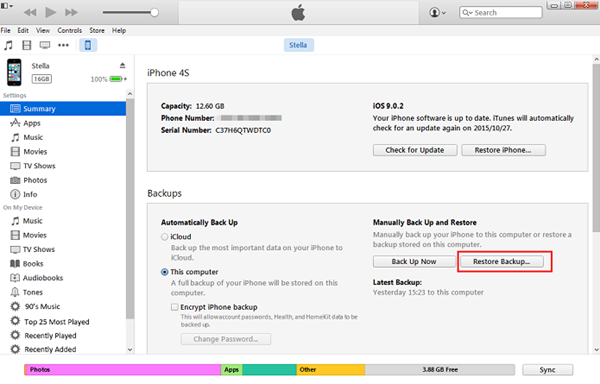 Step 2: Click the second recovery mode “Recover from iTunes Backup”, then choose the iTunes backup of your old iPhone. Click “Select” to choose it. 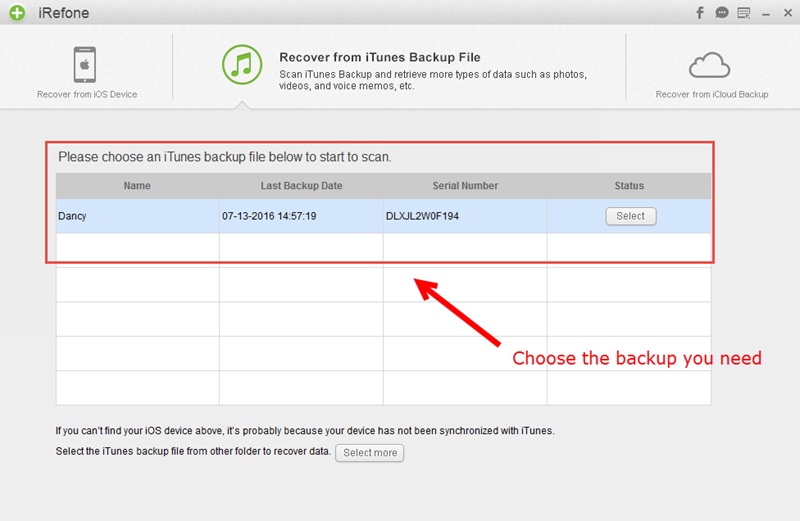 Step 3: Then it will ask you choose the data you want to scan in your iTunes backup. Click the icon of Contacts to start the scanning and analysis. 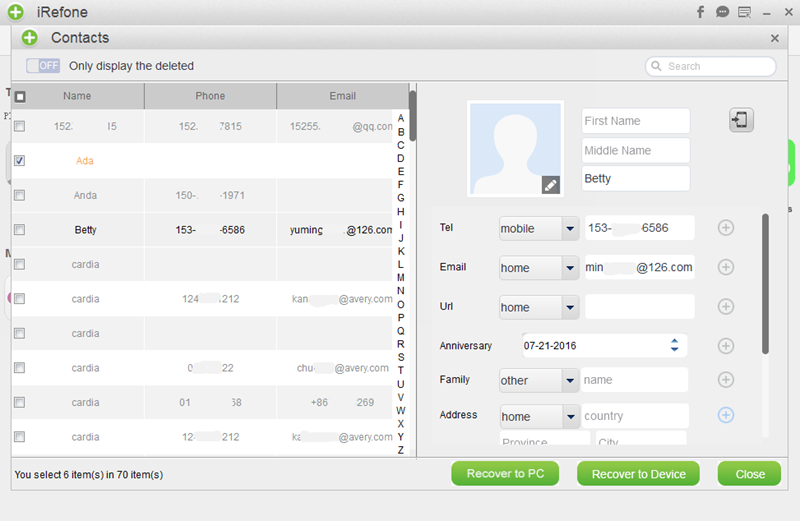 Step 4: When the scanning is finished, all of the iPhone Contacts in your old iPhone will be displayed in the software. Then choose the contacts you need and click on the button of “Recover to Device” to transfer to your iPhone.